Sonardyne International Ltd., UK, has supplied forward-looking sonar technology to MARSS Group of Monaco for a 120m-plus private vessel that was recently delivered to its owner in Europe. 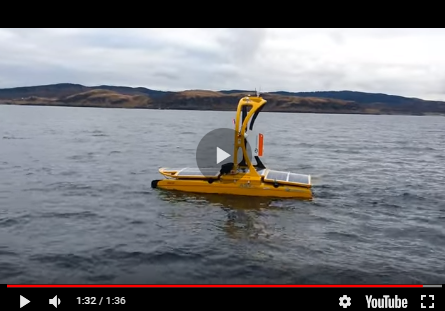 The navigation and obstacle avoidance sonar (NOAS) system was specified for the unnamed vessel to allow it to explore remote, poorly charted places with the assurance that potentially hazardous underwater obstacles can be identified and avoided. The contract also included the supply of Sonardyne’s diver detection sonar, Sentinel. This complements the NOAS installation to enable the detection of underwater intruders approaching the vessel when stationary. The compact design of the NOAS sonar assembly enables it to be fully enclosed within the bulbous bow of a vessel with nothing protruding external of the hull to affect hydrodynamic performance. For this project, Sonardyne’s Sentinel diver detection sonar was also integrated with the vessel’s NiDAR installation of ship-mounted cameras and radars to provide a comprehensive off-board surveillance capability. Should any underwater intruders approach the vessel whilst it is in harbour or moored in a secluded bay, the crew will be immediately alerted to their presence, speed and direction - even what type of diving equipment they are wearing. Commenting on this significant order, Nick Swift, Sonardyne’s business manager for Maritime Security said that inaccurate nautical charts and unmarked underwater obstructions represent a major threat to all types of vessel including expeditionary cruise ships, large yachts and military ships. This is where the NOAS underwater forward-looking sonar technology provides a solution, vastly improving the situational awareness for captains and their crews. Rob Balloch, senior vice-president Sales for MARSS Group added that MARSS has been associated with the Sentinel sonar and the Sonardyne team for many years. Integrating it with the other vessel sensors in our NiDAR command and control platform provides a turnkey-solution that enhances vessel safety and security.